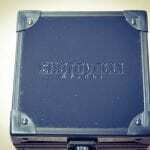 The case back is screwed down to the upper part of the case. 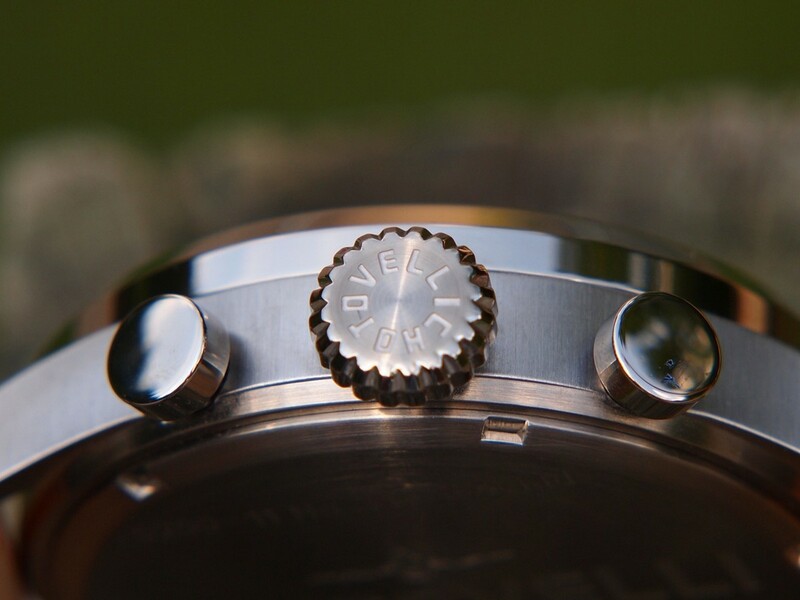 The case back has general specification information etched around the perimeter about the watch model that is typical of many case backs and also includes an etched plane and the brand name at its center. 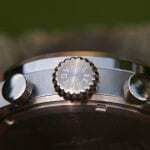 Beneath the case back is a modern Citizen quartz chronograph movement caliber 0S21. 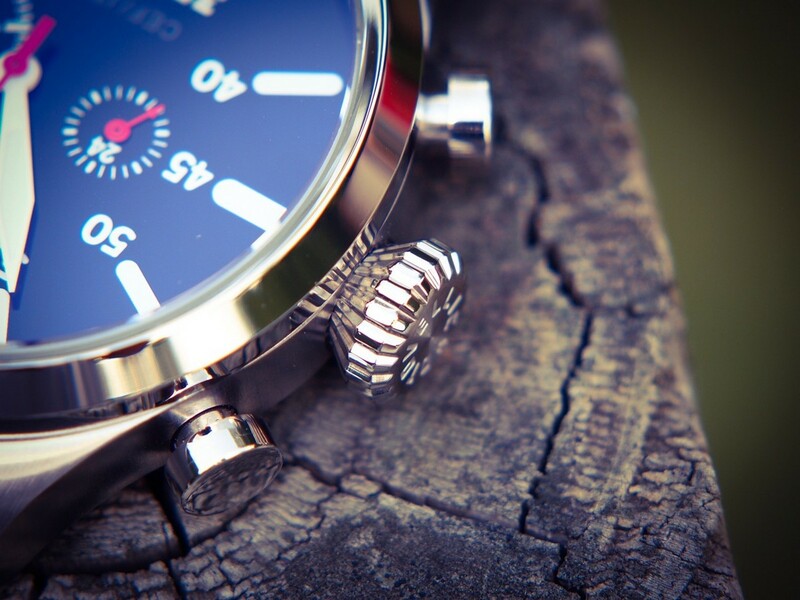 The movement has been extremely accurate as one would expect from a quartz. 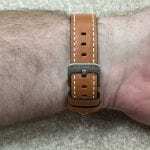 The 24-hour eye is quite helpful in telling whether the watch is set in the AM or PM. 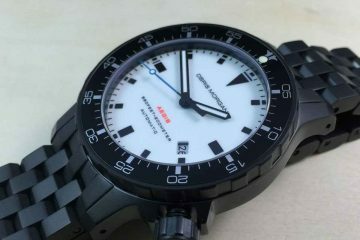 Even though a reputable quartz movement from Citizen is being utilized, I would like to see the use of automatic movements for watches in this price category based on what is available on the market. 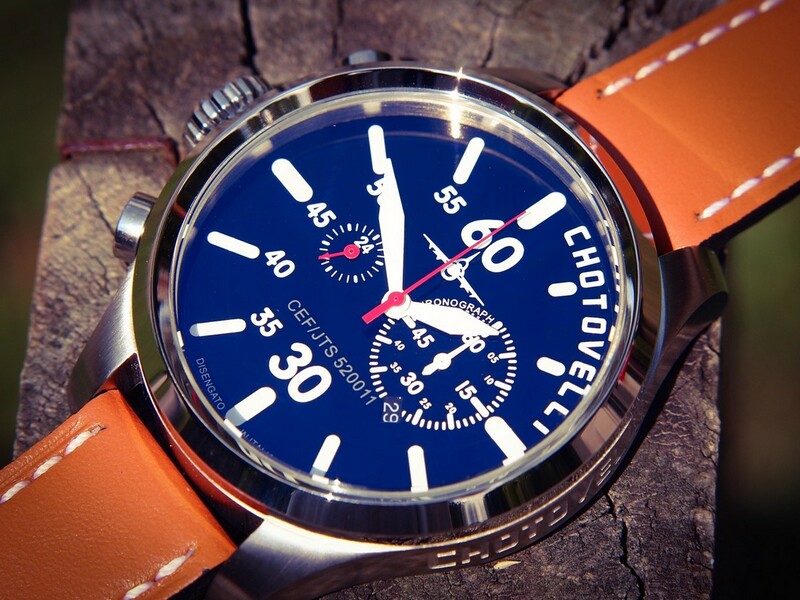 Finishing off the Pilot Aviator is a truly fantastic tan Italian calf leather strap. 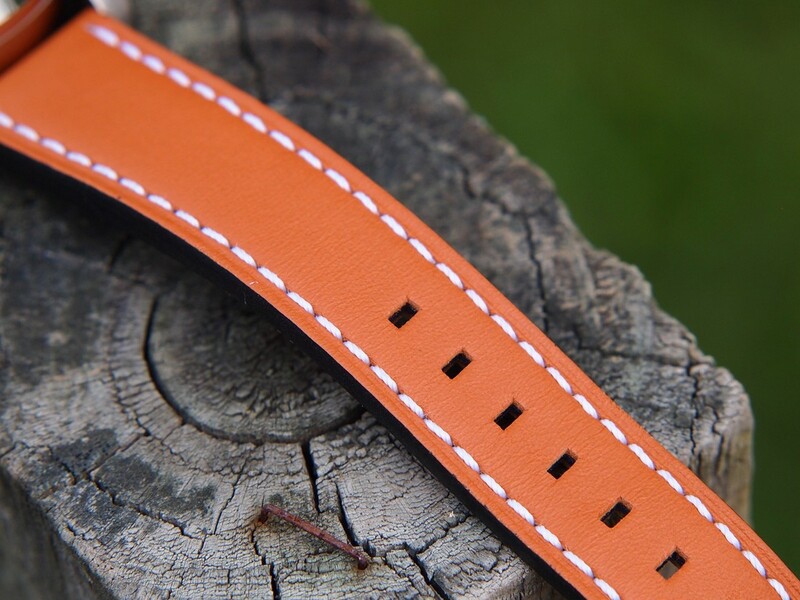 I have to admit that the strap really concerned me greatly at first since it was only 20mm at the lug on such a large watch case measuring nearly 16mm in height, as well as, discovering the tapering of the strap to 18mm at the tail. 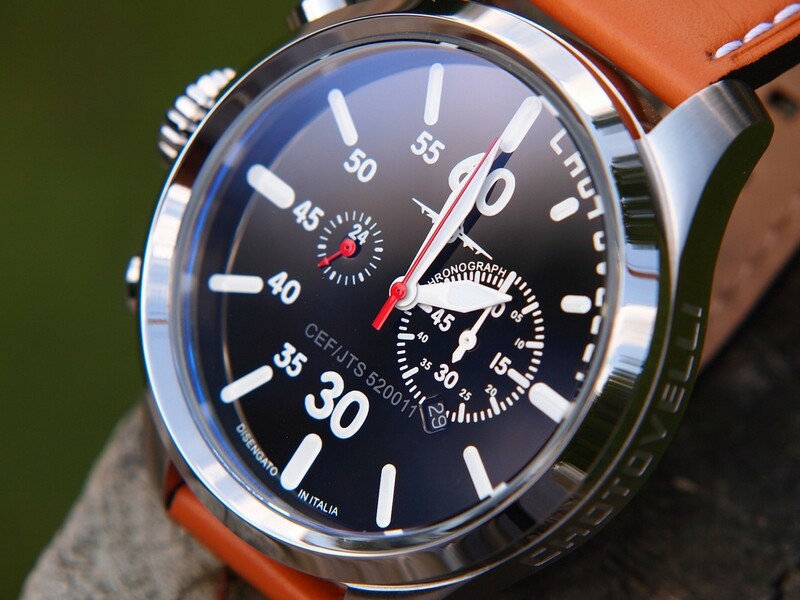 I was quite concerned about the overall balance of the watch on the wrist with these specifications. 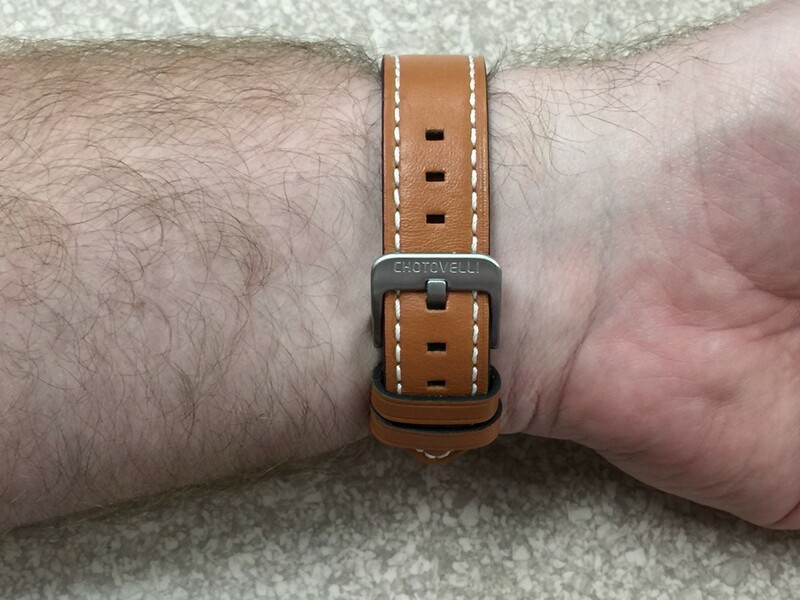 To my surprise, balance was not an issue whatsoever so please do not let the 20mm lugs and strap size scare you away from this particular model. 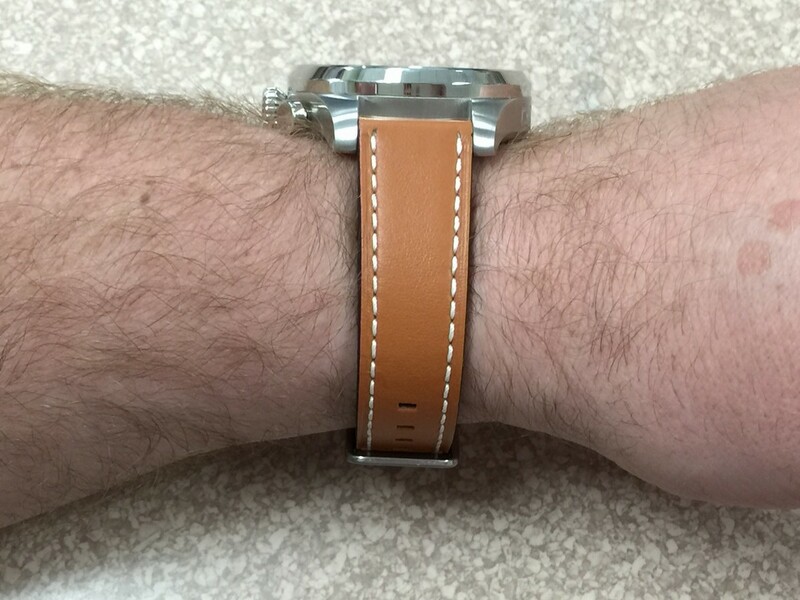 The calf leather strap provided with this model is quite soft and supple and is extremely comfortable on the wrist. 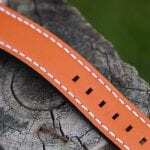 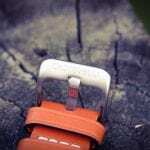 The strap is constructed with quite a number of sizing holes that will allow for a wide array of wrist sizes. 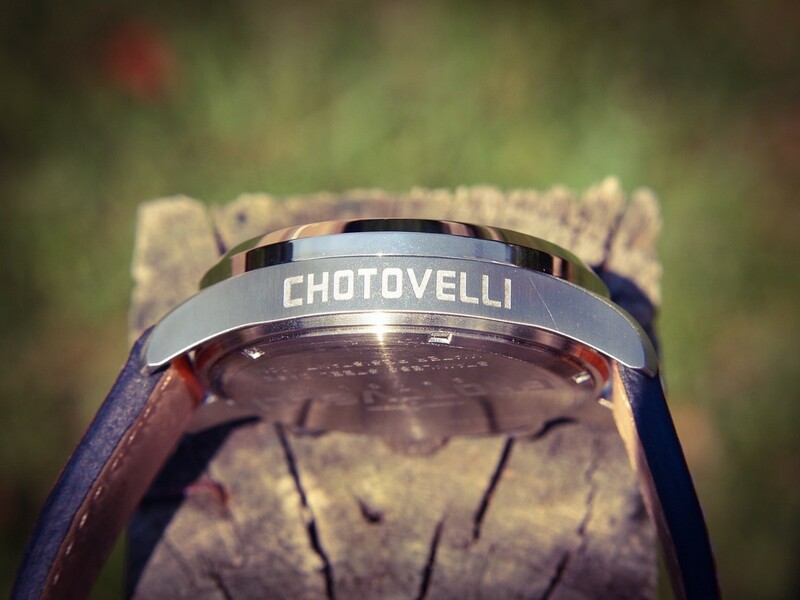 The strap is a rather robust 4.5mm thick at its thickest point so it doesn’t feel at all flimsy in its construction. 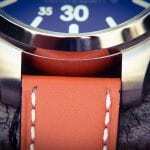 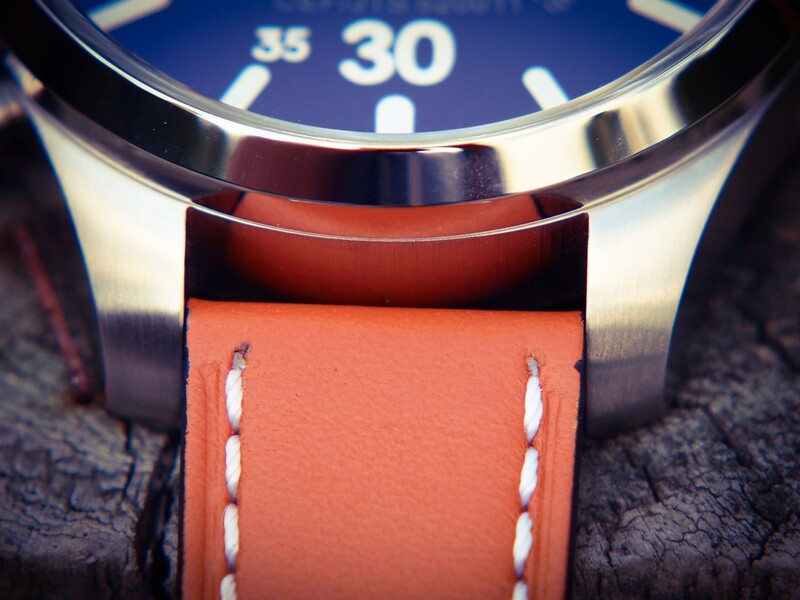 The strap also has two keepers, one fixed and one floating, which are a necessity with any good leather strap. 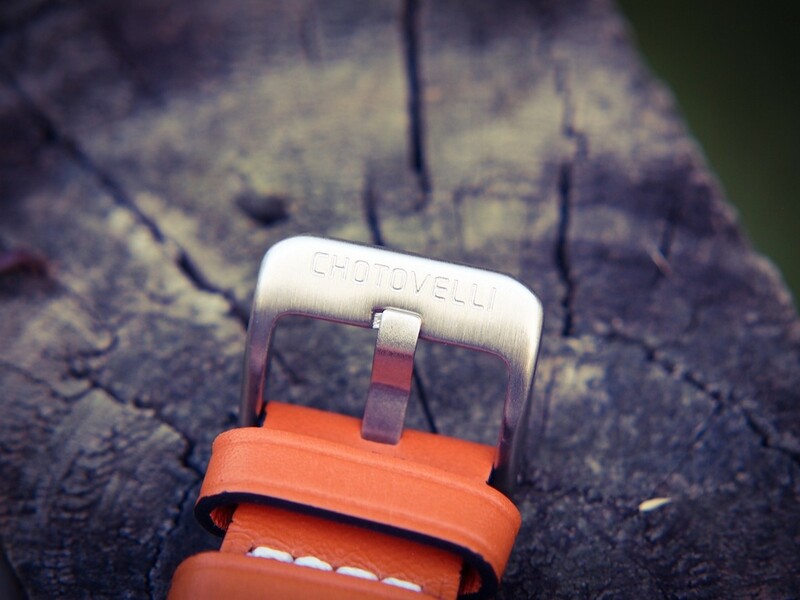 The strap is finished off with a sturdy signed thumbnail style buckle. 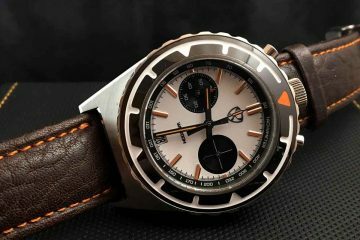 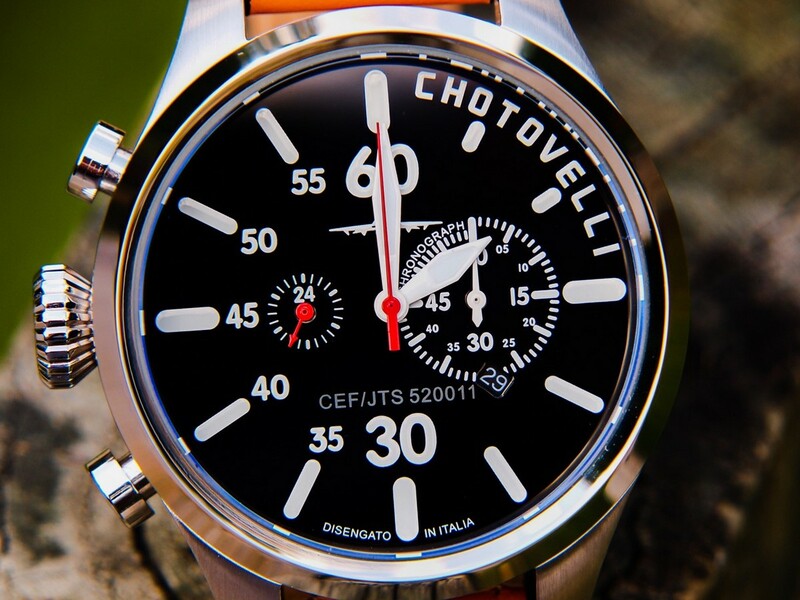 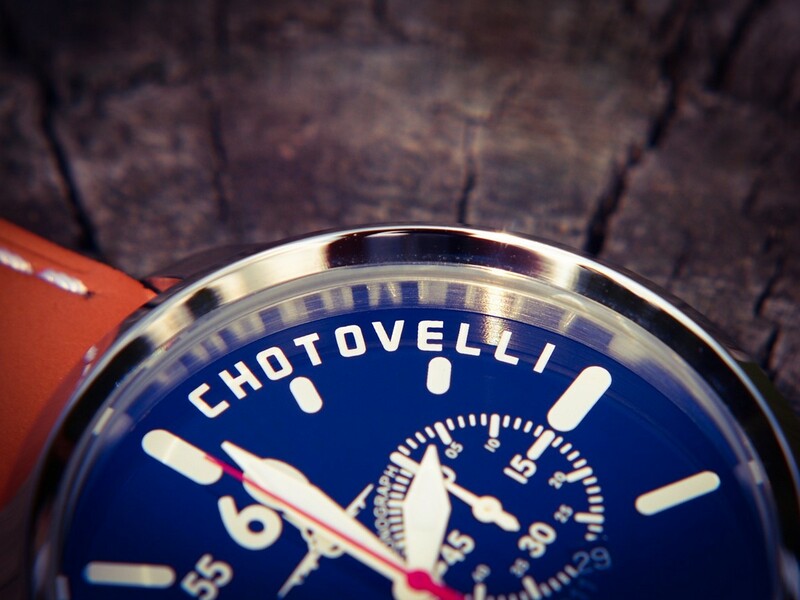 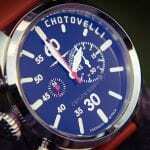 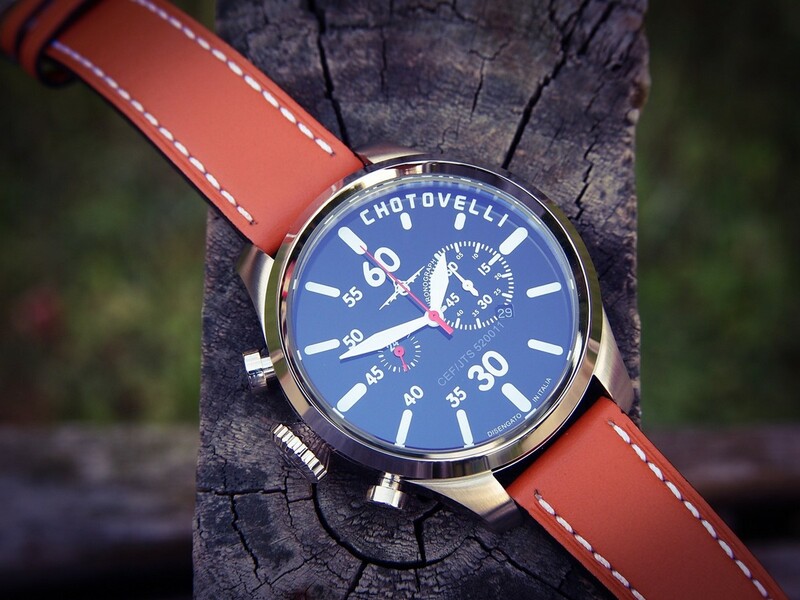 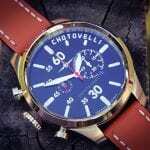 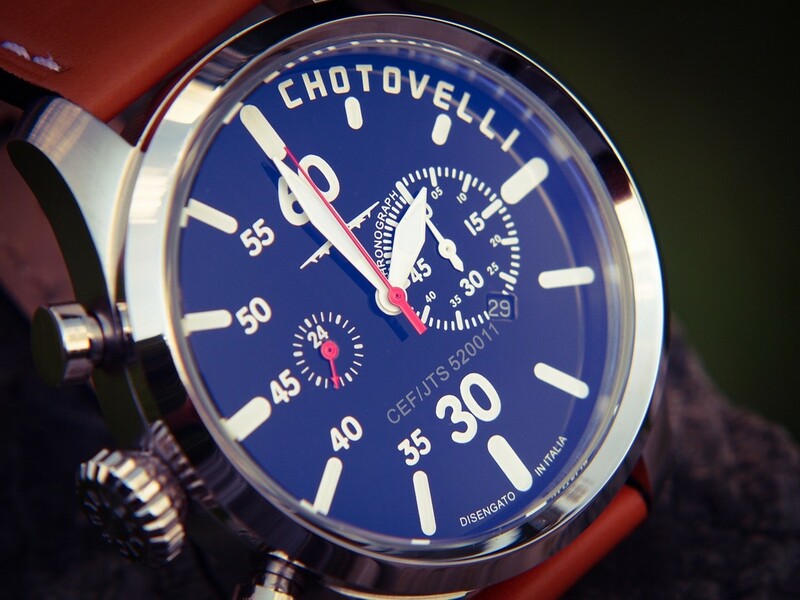 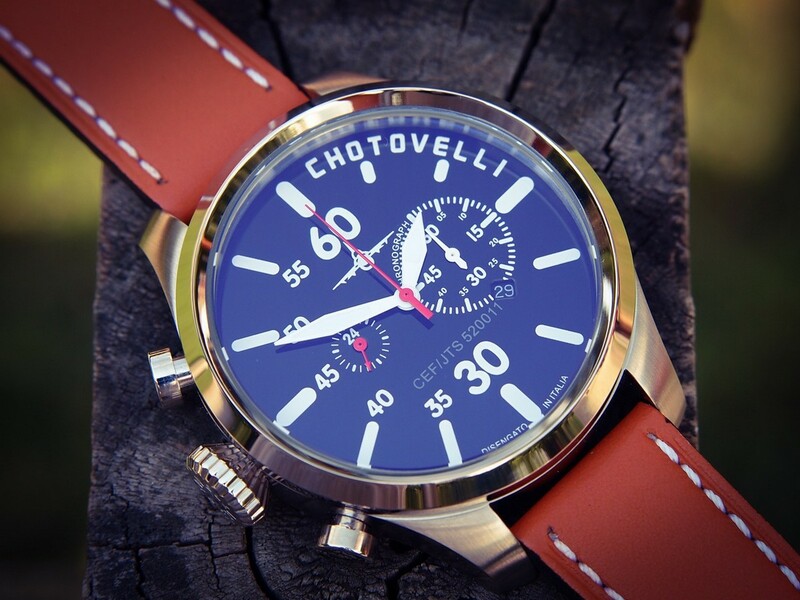 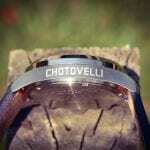 Chotovelli provides quite a few modern style pilot style designs with their flagship Pilot Aviator leading the way. 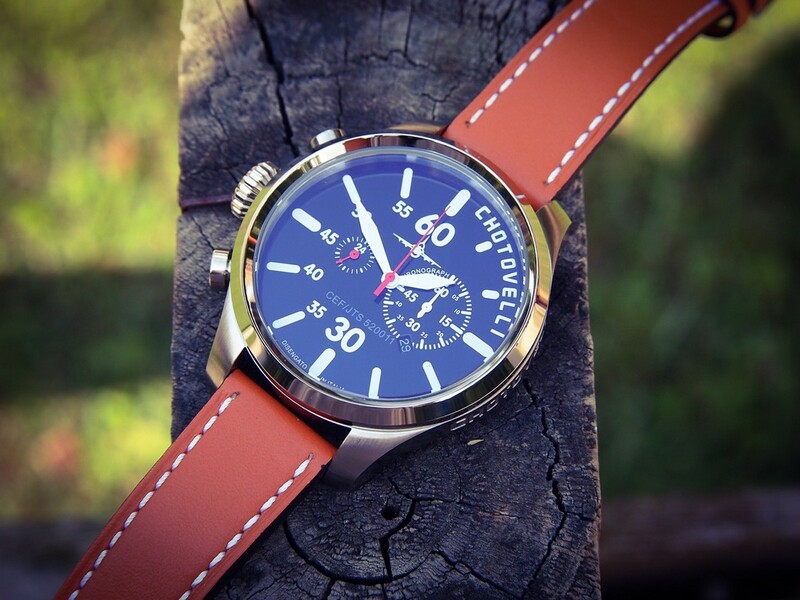 The model provides quality specifications such as the oversized sturdy case design, sapphire crystal, screw down crown and a dependable Citizen quartz chronograph movement. 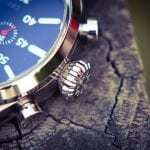 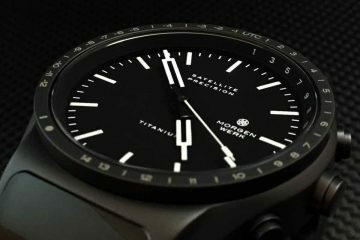 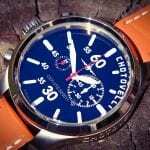 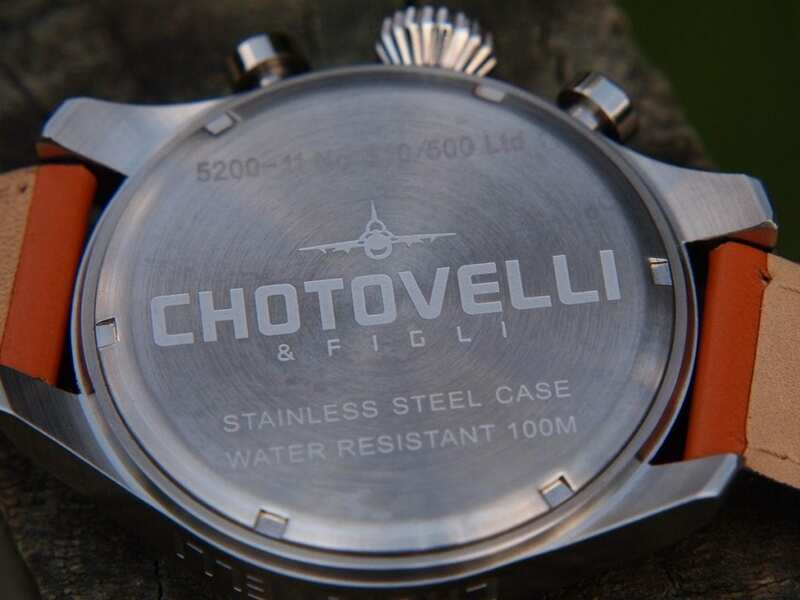 If you are interested in modern pilot style watches and quartz movements are to your liking, definitely check out what Chotovelli has to offer. 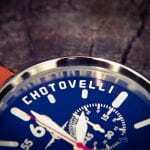 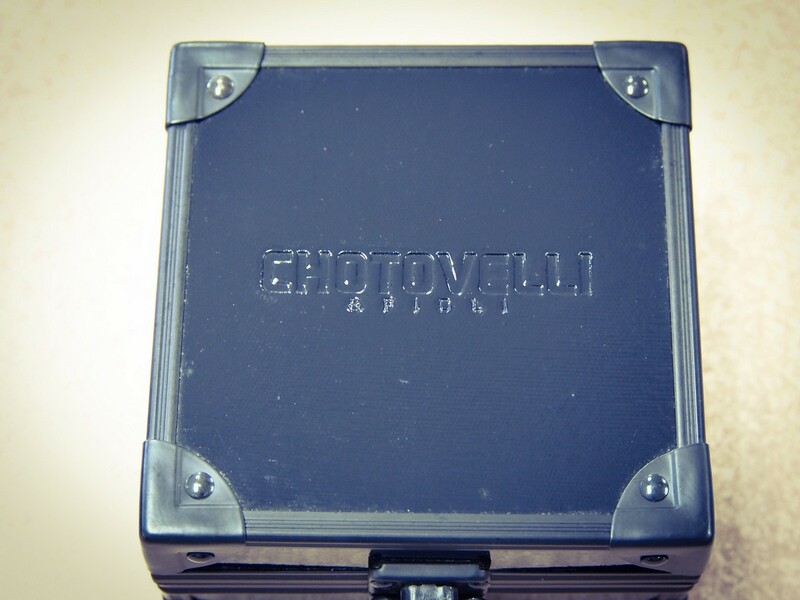 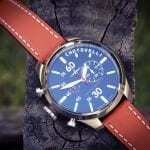 I would like to thank Chotovelli for arranging this review with WatchReport.com and I would like to thank each of you for reading. 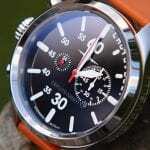 Please take a moment and view the brief video presentation included with the review and subscribe to the WatchReport.com YouTube channel. 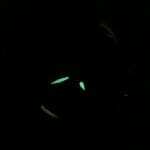 I look forward to your thoughts and comments as always. 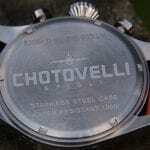 Michael Wolfe has been a watch fan for years. 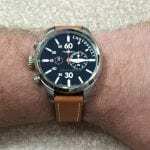 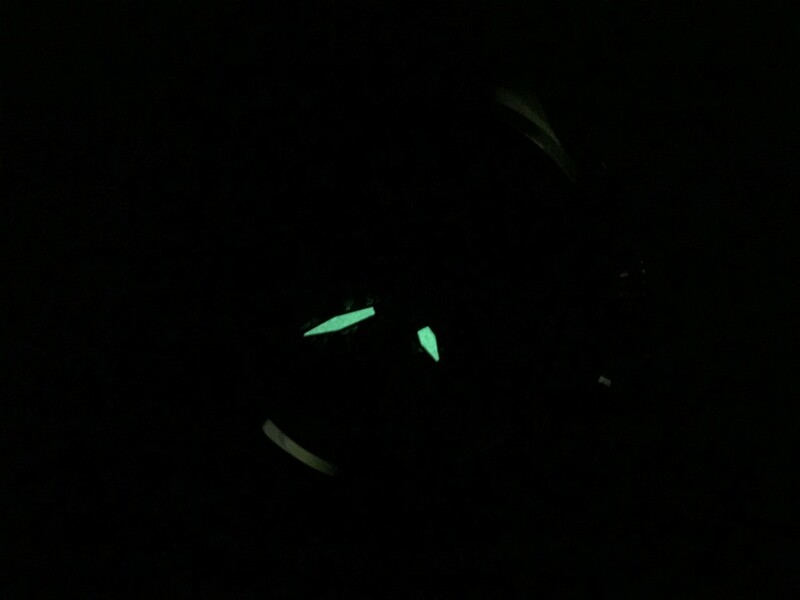 Michael has been developing his watch review techniques over the past 4-5 years. 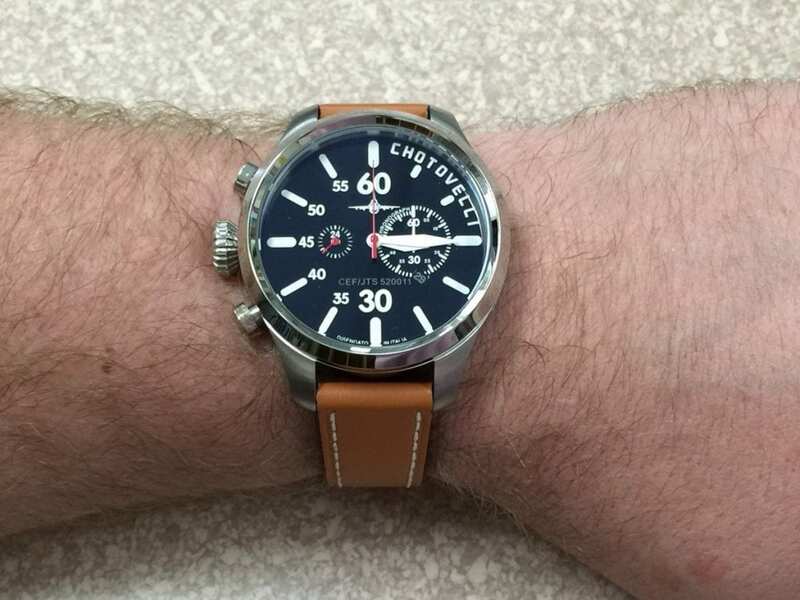 His true passion involves reviewing dive watches in any price category, but also enjoys stepping out and reviewing other watch styles from time to time. 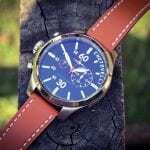 Michael is developing a reputable following and solid reputation for the insight he provides through his reviews. When Michael isn't immersed in a watch review, his other interests include following college athletics and spending time with his family. 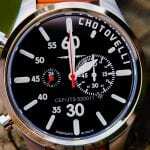 Great informative and comprehensive review. 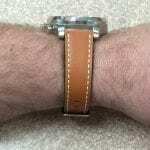 Just purchased one based on this review, thank you!